Situated in Southeast Asia, Vietnam is a small and beautiful nation with wonderful landscapes. According to many travelers who have had their experience in Vietnam, exploring the country’s beauty with its culture and people should be done once in one’s lifetime. The country is separated into three different regions which are the north, the central, and the south. Each area has its own attractions as well as values making tourist’s travel experience different in each part of the country. When visitors come to the north, they can observe Vietnam culture, history, lifestyles, and family values, etc. in the most traditional way. Several famous tourist attractions in this region are Hanoi capital, Halong Bay, Trang An grottoes, Mai Chau valley, Tam Coc caves, Ba Be lake, Dong Van rock plateau, Ban Gioc waterfall, Cat Ba island, and more. After discovering the north, visitors with a valid VOA Vietnam visa can move to the central of Vietnam. This area is a mixture between the north and the south. When coming to this region, tourists can pay a visit to the natural heritage in Phong Nha, ancient town in Hoi An, royal tombs and forbidden citadel in Hue, holy temples in My Son. 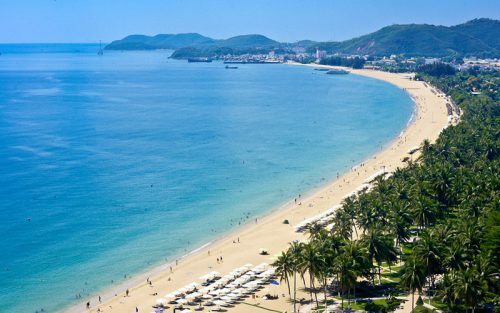 Not only that, they can also enjoy a wonderful time at beautiful beaches and resorts along the coastline in My Khe beach, Cua Dai beach, Lang Co beach, etc. Meanwhile, the south of Vietnam is a fertile land and Ho Chi Minh city is considered as the heart of the country’s economy. Also from this city, travelers can launch a great trip to Can Gio mangrove forest, Cu Chi tunnels, Mekong delta's floating markets, fruit gardens, villages, or decide to travel to some of the world's best beaches in Nha Trang, Mui Ne, Con Dao or Phu Quoc island. There is no good or bad time to travel in Vietnam since the country’s geographical location allows it to have various climates in different areas at the same time period. Moreover, traveling in Vietnam is easy, safe and convenient. Nevertheless, in order to visit Vietnam, tourists must possess a legal visa to Vietnam. Fortunately, in an attempt of the Vietnamese government in easing the process getting Vietnam visa at the embassy, visa on arrival has been officially approved. With this new method of acquiring visa, visitors need to hire a reliable, experienced and professional travel agency such as Greenvisa to handle their visa request. Thanks to the launch of visa on arrival (VOA), the number of international tourists coming to Vietnam has considerably increased in recent years. The country has become a new ideal destination for many holidaymakers. Among the countries which have the most inhabitants pay a visit to Vietnam, the total number of tourists who travel to Vietnam from India always stay on top of the list. Now with the availability of VOA, visitors can simplify the visa-obtaining procedure and take advantage of its conveniences. Green Visa agency – a government registered company concentrating on handling several visa services with the Vietnamese Immigration Department to help citizens across the world get visa on arrival to Vietnam with ease. The company guarantees to support foreign visitors in lessening the sophisticated of getting the permission to enter Vietnam and collecting Vietnam visa online before their Vietnam visit.